One year from now, ShapeChangingInstruments will be filled with awesome unique creations. But for this year, the number of lasercut instruments is low, but the hope is, that some outside the box thinking will be good for both of us. What’s great about the current list of makers, is how many people are posting their projects onto instructables and thingaverse. 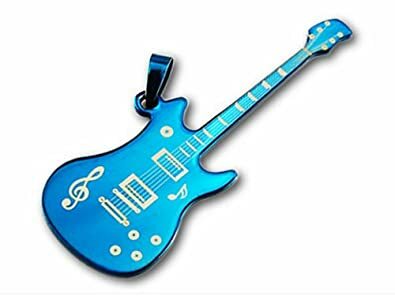 This blue guitar is pretty slick, until you realize its a two inch piece of jewelry. And yes, that wooden trumpet is non-functional. 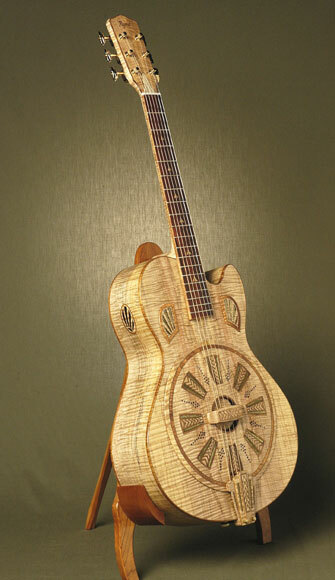 One of the biggest markets for laser cut musical instruments is in jewelry. Lots of magnets and ear rings out there. 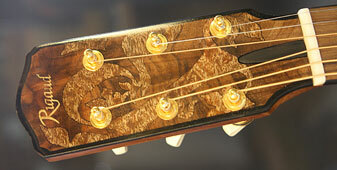 RG Music and other luthiers are beginning to carve out designs onto their instruments and necks. 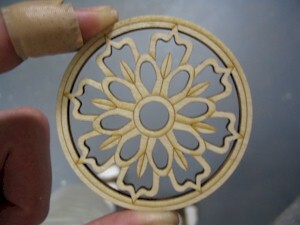 Laser cutting provides a way to add intricate near perfect finishes on top of their great sound instruments. Lasercut rosettes and other inserts can now be ordered online as instrument components. Websites for dulcimers, psaltery and guitars are coming online. Further up the food chain, are functional components to musical instruments. Amazon now sells bridges for musical cellos and violins. Its important to differentiate these from just decorative pieces. With lasercut bridges, its easy to test different materials against each other. Or order a few stock pieces, and then sand them down in different ways. We’re waiting for somebody to apply evolutionary design algorithms onto laser cut bridges. By far, the is the biggest space for lasercut musical instruments. Synth makers are jumping aboard lasercutting as a way for making panels to their creations and sticking their work inside a box. As the modular synth/diy-synth scene explodes with makers, there is now spillover into the laser cut market. The anywhere organ is taking instruments out of the box. Its replacing the traditional enclosure of an organ, and replacing it with a mobile version made from laser cut parts. Engraving some good vibrations is the laser cut recording project. Ranjit of moonnmilk.com runs instrument building classes out of nycresistor. And even makes an instrument a day during the month of February. 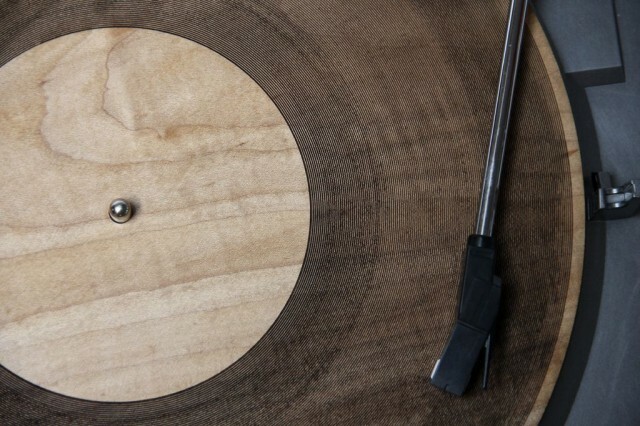 Some of his laser cut instruments are up thingaverse. The 8-bit violin has become the logo for laser cut musical instruments. Discussion of how this dulcimer as manufacturered from particle board. So there you have it. That’s our round-up.